Happy Friday + We Love You Mom! Happy Friday! What do you have planned this weekend? We’re going to a wedding tomorrow at Marvimon in Downtown LA and I’m really excited…both to see our friends get married and to see this venue in person. The attire requested was “creative formal” so I’m anxious to see what guests will wear. Since both of our moms live far from us, Evan and I will be celebrating Mother’s day with brunch and a leisurely afternoon together (I hope, anyway). 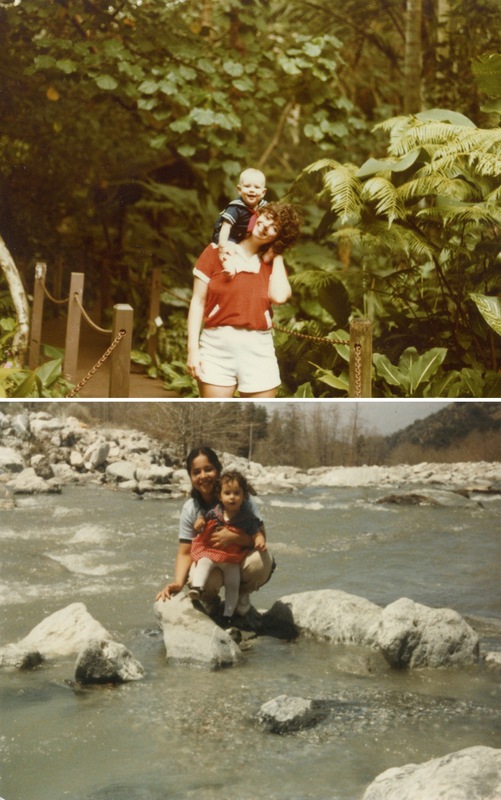 Above is baby Evan and me with our mommies (both taken about 30 years ago….YIKES!). HAPPY MOTHER’S DAY MOMS! I was looking for blog posts about Makaha to share on our site and I came across your post…If you’re open to it, drop me a line at jane(at)dwellable(dot)com.